Hacienda Pacifica is the newest development project from the team at Grupo Condeco in Costa Rica and features 2 and 3 bedroom Single Family Homes, 2 bedroom Condo/Villas and a Commercial Center with 20 units! Hacienda Pacifica’s exceptional value is driven by its central location to the booming towns of Quepos and Manuel Antonio where the lush green jungles and blue ocean meet in an enchanting visual encounter! These two diverse areas offer international cuisine, great shopping, and fine art all within a tropical setting. Adventure junkies will have their hands full with world-class fishing, surfing, SCUBA diving, canopy tours, waterfall hiking and ATV tours. Exploring the surrounding area and jungle will provide anyone with countless hours of enjoyment as you discover the real Costa Rica. 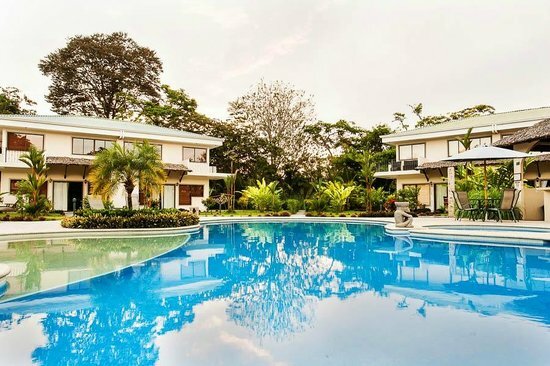 Investors at Hacienda Pacifica cheer its proximity to the new international marina (currently under construction), a full service hospital, local airport with flights to San Jose, and the flora and fauna of Manuel Antonio National Park all which are all just minutes away. The towns of Domical and Uvita are just an hours drive to the south and the booming town of Jaco is only 40 minutes away to the north. Getting to Manuel Antonio is easy too: a 20 minute flight from San Jose or a 2.5 hour drive can have you home just in time for a breathtaking sunset. Best of all, amazing beaches stretch up and down the coast as far as the eye can see allowing for countless hours of fun in the sun. Welcome to life along the Central Pacific! 20 Condos surrounded by the Lush Palm Forest, a Tropical Lake and features nice mountain views. Luxury Finishes - a/c, stainless steel appliance package, etc. The casitas of Hacienda Pacifica are single family homes with 2 or 3 bedrooms and 2.5 bathrooms, large terraces with open floor plans and a yard and garage. All units will feature gorgeous mountain views! Amenities include: A/C, cable TV, ceiling fans, granite counters, stainless steel appliances, high speed Internet and phones. Other amenities include large swimming pools and play areas, a commercial center, on-site property mgmt and rentals , guest parking spaces and 24 hr gated security! New master planned community with single family homes, condos and commerical center for your everyday living needs. The white sandy beaches of Manuel Antonio, a new 300-slip International marina, airport, hospital and town activities are all within 2 miles making Hacienda Pacifica a great place to call home!